According to the Svetlana Electron Devices datasheet, the 572B is designed as a "drop-in replacement" for the 811A. This means that the power and voltage levels should be respected. Maximum plate input is 600W per tube with a maximum plate voltage of 2750V. If you are running anywhere near capacity, forced-air cooling is a necessity. 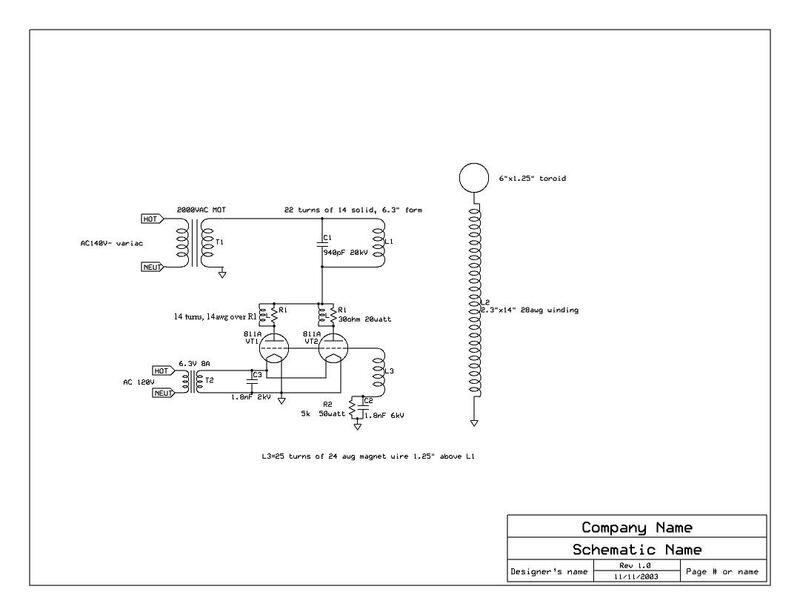 Unless you are going to stick with the schematic you referenced, I would strongly recommend obtaining the 572B datasheets (download pdf) AND getting a reprint of a reference book such as RCA TT-4 Transmitting Tube Manual which explains how and why vacuum tubes work and design considerations (in high school-level language). Running two MOTs in parallel will just mean they are not being worked as hard, because unlike an SGTC, the tube and circuit parameters determine the useable power, not just the transformer. Running tubes beyond their capacities means much shorter life spans although not nearly as bad as the millisecond deaths of ICs.